Hyundai Motor America today announced September sales of 56,010 units, up two percent versus the same period in 2013. Kia Motors America (KMA) today announced record August sales of 54,667 units, a 5.1-percent increase over the same period last year. Hyundai Motor America today announced an all-time August sales record of 70,003 units, up six percent versus the same record-setting period in 2013 and only the second time ever the company has topped the 70,000 mark. 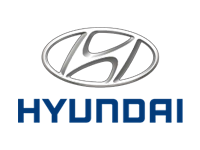 Hyundai Motor America, recently ranked the highest non-premium brand in J.D. Power’s APEAL and IQS reports, posted its best July sales ever. Coming off the best first half sales performance in company history, Kia Motors America (KMA) today announced record July sales of 52,309 units, a 6.7 percent increase over the same period last year. On the heels of its best month ever, Hyundai Motor America posted its best June ever and the best opening six month period in its 28-year history.